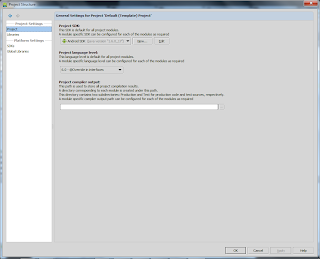 This article describes how to download and install the 0.1 version of Android Studio on a Windows 7 computer. 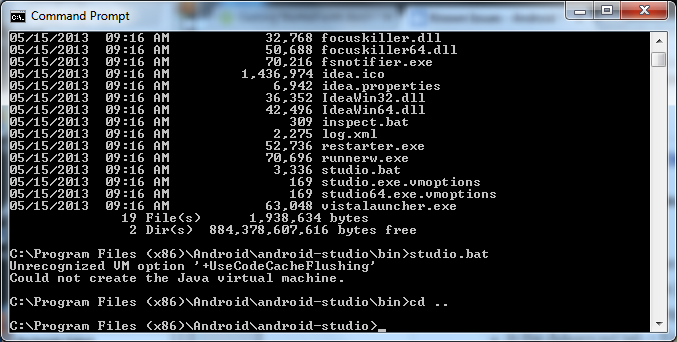 At the recent Google IO conference, Google announced their new product for Android development: Android Studio. 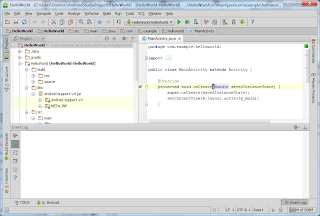 Android Studio is meant to replace the Eclipse plugin for Android development. There has been a lot of excitement surrounding the tool--apparently many people are not huge fans of Eclipse. Personally, I am a fan of Eclipse, but certainly think that Android has gotten big enough to merit its own tool for development. You can find the early access preview at the official android site. Download the installer and run it. 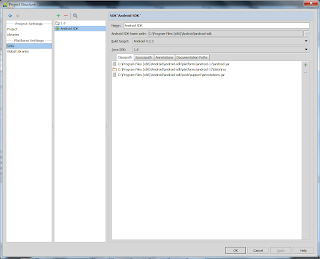 The download page also includes a link to known issues with Android Studio. 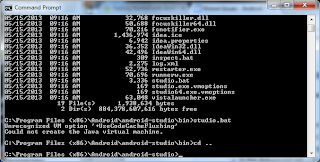 I followed the instructions and navigated a command prompt to my Android Studio installation directory and ran the studio.bat file. I received the error "Unrecognized VM option '+UseCodeCacheFlushing'"
I opened these files to make the changes, but I encountered an error when trying to save. 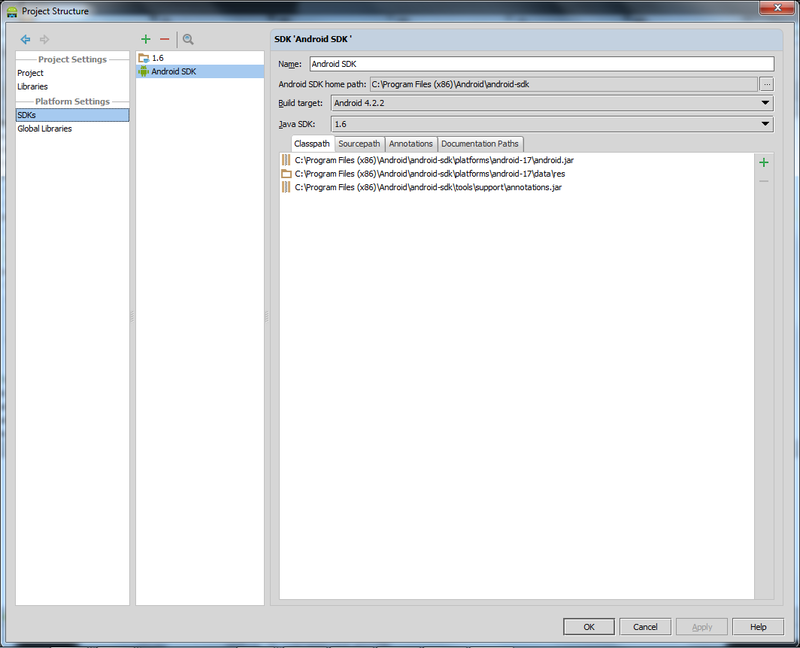 So I right-clicked on notepad, selected "Run as Administrator" and reopened the files for editing. This time, I was able to save. 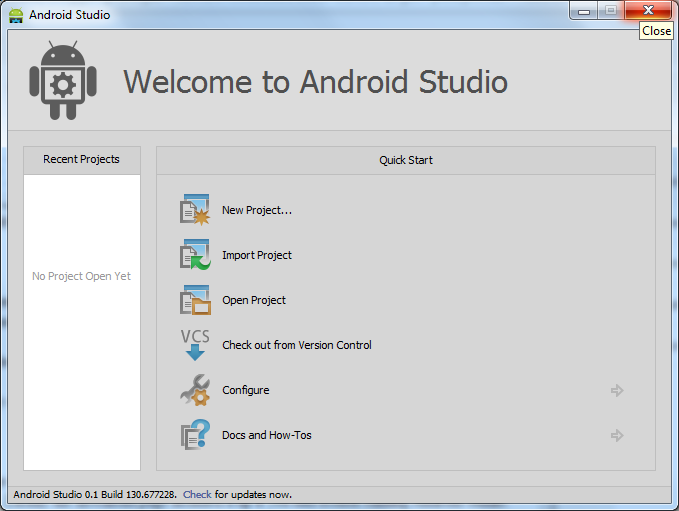 I clicked the shortcut to open up Android Studio, and this time it successfully started up. When I tried to click "New Project" I was met with the not very useful error message "your android sdk is out of date or missing templates"
Before you can make a new project, you must specify the location of the Android SDK. This stack overflow response had the answer to this problem. 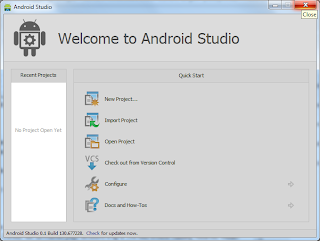 On the Project page set the SDK to your Android SDK location, for example "C:\Program Files (x86)\Android\android-sdk"
I had trouble getting Android Studio to save my build target--the apply button would not light up after I made a selection. To remedy this, I set the build target from the drop down, and then changed the name that displayed in the "name" field. After doing this the "Apply" button was enabled. 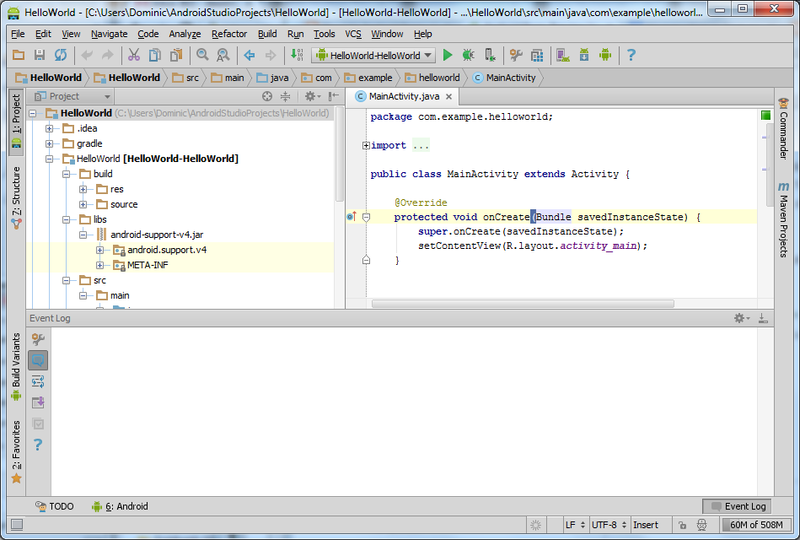 After doing all these steps I was able to create a new "HelloWorld" project using Android Studio.